We've fought for thousands of clients who've been cheated. We win a lot. Tell us about your situation. We'd like to help. If we can't, we'll generally offer you at least a little free advice. Please click the MY CASE button and tell us about your case. Welcome message from Ray . . . .
Ray graduated from Yale in 1987 and earned his law degree from UCLA in 1992. 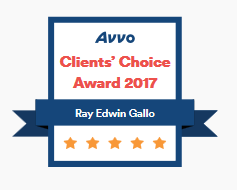 He is a repeat winner of AVVO's clients' choice awards, holds AVVO's perfect 10/10 rating, Martindale Hubbel's "Pre-eminent" "AV" rating, and has been named as one of LawDragon's 100 Leading Legal Consultants and Strategists nationally. 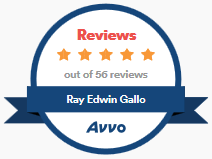 Mr. Gallo's 50+ perfect 5.0 reviews on AVVO reflect his clients' consistent satisfaction. He crusades for consumers, employees, and investors, and particularly for clients who can’t afford to pursue their claims unless they organize as a group through a site like this one. He believes in advocacy and justice. To learn more about his efforts and his successes, click the links below. 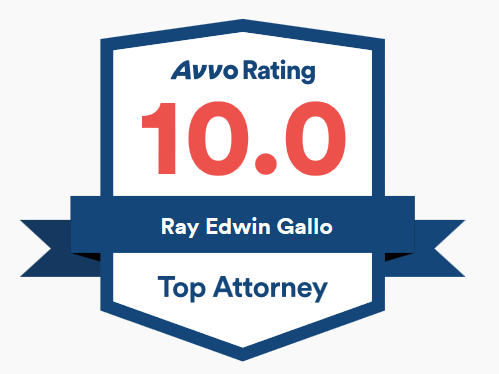 You can also find testimonials from consumer, executive, and corporate clients, and testimonials from our former opposing counsel, below . This website constitutes a "communication" within the meaning of California Rule of Professional Conduct 1-400, in that it is a "message or offer made by or on behalf of a member [of the California State Bar] concerning the availability for professional employment of a member or a law firm directed to any former, present, or prospective client." It is or may be considered attorney marketing or advertising in other jurisdictions. This website is not a general offer of legal services. See our website Notices, Terms, and Conditions for additional information. Tell us what happened! We'll tell you quickly whether we can help. Share this website with your friends and followers.